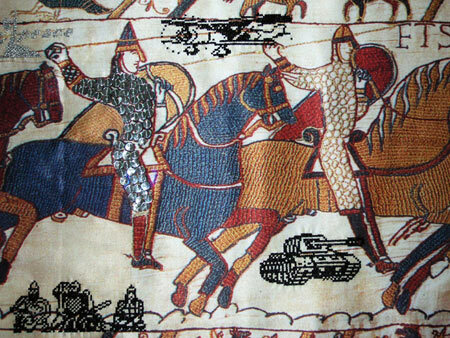 The contemporary interpretation of the historical record, unique and the biggest embroidered tapestry The Bayeux Tapestry. To the detail of the historical masterpiece made by digital print I have added contemporary symbols in cross- stitching. These symbols are prepared as picture messages to by send by mobile phones and I have chosen them according somehow with the historical masterpiece.